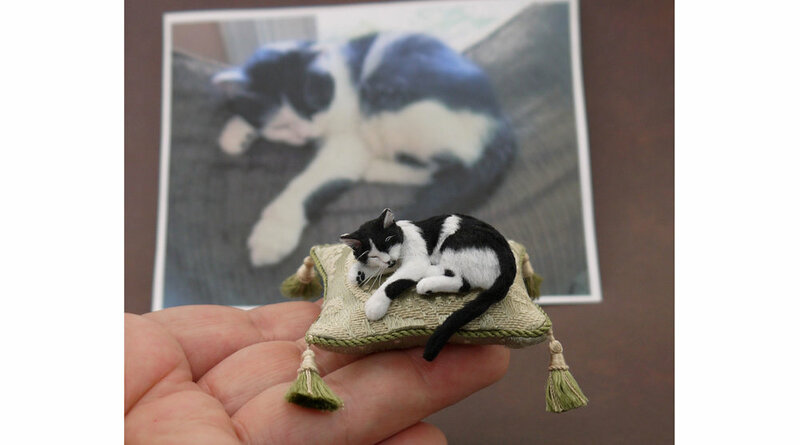 A heartfelt 'thank you' to those who have inquired about my miniature animal sculptures. I truly appreciate your interest in my work! When it comes to managing free studio time and creating custom order sculptures, I only book / produce a limited number of commissions per year in order to continue to create ‘spontaneously inspired’ works. My sculptures are individually hand-built from clay (no molds are cast), and I do not produce multiple, assembly-line pieces. I do not offer a catalog or price list. Prices vary with the complexity of each sculpture (i.e., size, scale, breed, pose, coat color(s) and pattern, etc.). I do not sell wholesale or offer discounts to dealers. If you would like to be notified by email when new animal sculpts become available for purchase, please fill out the form indicating "Announcement List" in the subject line.